I’m Bobby Kircher and I’m a digital marketing consultant based in Atlanta, Georgia with over 20 years of web experience. 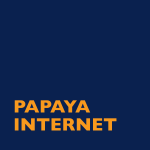 Since 2004, my company Papaya Internet helps small businesses grow their businesses online. When not behind my computer, I’m running, listening to music, adding to records to my vinyl collection, taking photos, bike riding around Atlanta, improvising, and traveling. My 1984 Peugeot 505 is for sale. Feel free to send me a message or email bobby <at> bobbykircher.com to get in touch with me.